Can You Grow Younger? Do This and Find Out. I’ll admit it. I’m cruising for a bit of a mid-life crisis. Not the kind where I go out and buy a Ferrari. No no no, I’m not that vain. 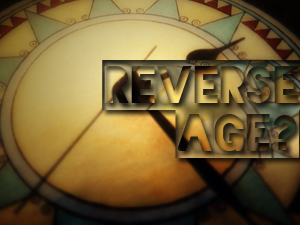 Can you grow younger and reverse your age? I am realizing my own mortality though, as I reach into middle-age. Friends around me are starting to get grey hair, and things like little aches and pains are creeping in. I find that I should have been meditating more, so now I want to meditate far more than I did before. So much so, that it’s becomming my mid-life crisis. Luckily for me, mindfulness is keeping that all in check, but man, even with practice, it’s still a struggle. Age happens. Our bodies are wired to get old and die… or are they? The study showed that long term practitioners of Transcendental Meditation, those practicing for at least 5 years, showed a 12 year reduction in their biological age (Keith Wallace, Eliha Jacobe and Beth Harrington “The Effects of TM on the Aging Process” – International Journal of Neuroscience, 16 (1). 1982: 53-58). The findings showed that even new meditators, those that had been practicing for less then 5 years, showed a vast reduction in their biological age with test subjects measuring an average of 5 years younger. More remarkably, 4 test subjects in the long term meditators group had biological ages 27 or more years younger then their chronological age. 27 Years for long-term meditators! Better get started lol! Stop Stress and Lengthen Telomeres? This study is on people who use Trancendental Meditation, but I would venture to say that any type of meditation can elicit similar effects. TM is just a specific brand of meditation. I talk about it in my newsletter, in a mini-course about stress. It’s about triggering a certain response in the body that’s been shown to kill stress and actually lengthen telomeres (protective caps on the end of DNA strands) that shorten and break with exposure to stress. This causes all sorts of havok in our bodies, including aging. Think of protective caps on the end of shoelaces. These caps protect our chromosomes. If you want to learn how to use mindfulness in your daily life, subscribe to the newsletter. It’s a good, free resource. I go over what works for me, which might work for you as well… or not… who knows? Try it and find out.